Rice, an ancient grain, is the primary staple for more than half the world’s population, through its role in the diets of billions of low-income, food-insecure consumers. Its vital role makes its availability and price politically sensitive for governments in several regions. Government intervention is often aimed at keeping prices affordable, especially for low-income consumers. In some cases, government intervention also encourages domestic production to promote national self-sufficiency. The United States faces little direct competition domestically and relies heavily on export markets; exports account for about half of the annual crop each year. 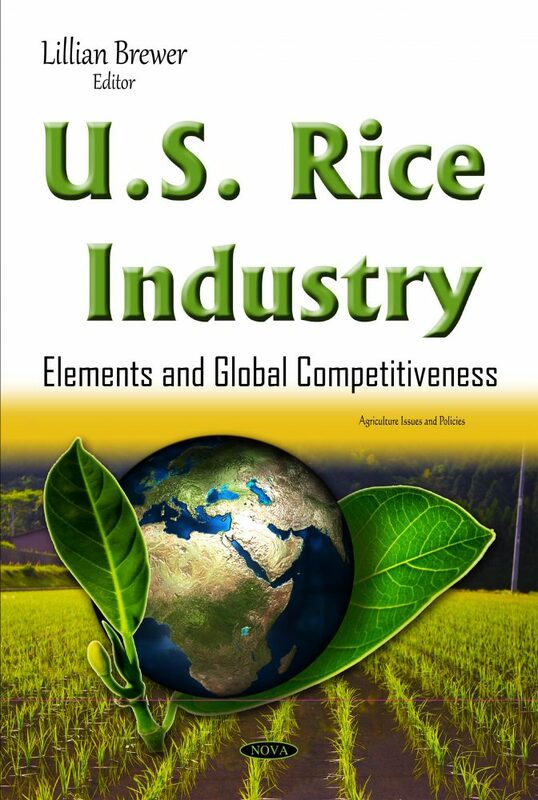 This book investigates factors affecting the global competitiveness of the U.S. rice industry. It provides an overview of the rice industry in the United States and other major global producing and exporting countries and provides information on recent trade trends and developments in the global market for rice. It supplies a comparison of the competitive strengths and weaknesses of rice production and exports in the United States and other major exporting countries and assesses the impact of government policies and programs of major producing and exporting countries.